Manuel Pellegrini would have been sweating after Marko Arnautovic was taken off in the first half against Cardiff City on Tuesday, and who can blame him. Reliable inside source ExWHUemployee has revealed on the ‘West Ham Way’ podcast [05/11, 35:30] that the frontman is likely to be out until the New Year with the injury sustained in the midweek clash, which is dreadful news considering the amount of fixtures there are between now and January. The mainstay has had a scan on the injury according to the club insider, but the fact he could be out for this length of time will have the Hammers quaking in their boots. In all fairness, the club do not have many quality forwards amongst their ranks bar Javier Hernandez for his recent displays, so Pellegrini is no doubt in a bit of a pickle as to who will lead the line. Andy Carroll is surely not fit enough to play an entire 90 minutes at the moment, while Lucas Perez – despite netting a brace on Tuesday – blows hot and cold. 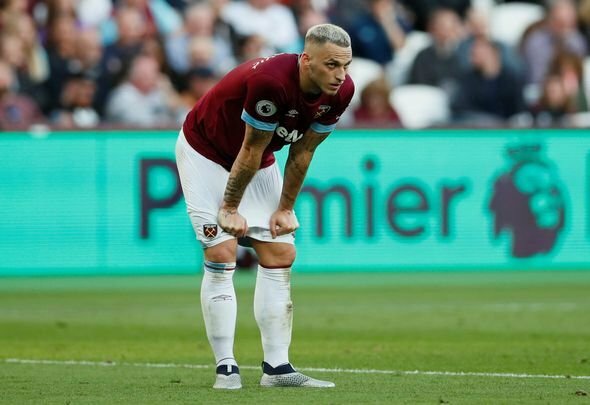 Arnautovic has demonstrated that he is one of the Irons’ best players this season and there is no arguing that Pellegrini relies on him more than he should be. That is because they lack another frontman in the mould of the Austrian, which is something that the manager should be incredibly concerned about. How they will fare without Arnautovic remains to be seen – however, the team have not relied on him as much for goals recently, which is one of the positives that can be taken from this update. It also means that clubs are not likely to bid for the dazzler in January if he is injured, so West Ham may keep hold of him a lot longer than they would have expected. Nevertheless, Arnautovic’s injury means that Pellegrini’s side will overall be worse off, and that will have the Chilean sweating over the potential line-up.